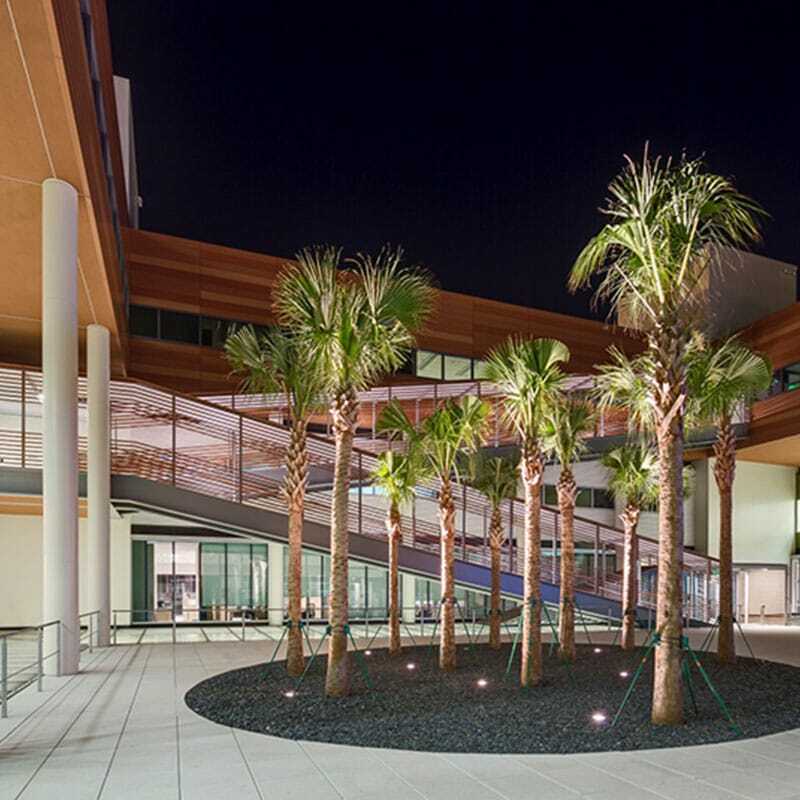 Gilbane delivers the first-large scale net-zero energy building in the southeastern United States. 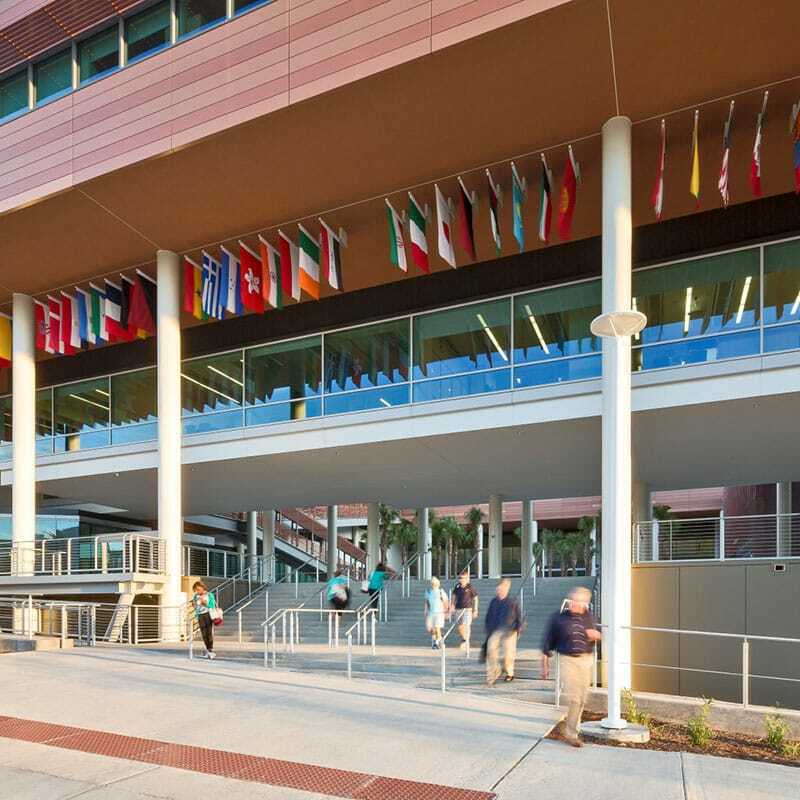 The Darla Moore School of Business at the University of South Carolina is US News and World Report and Bloomberg Businessweek’s top ranked International Business Program for public universities. 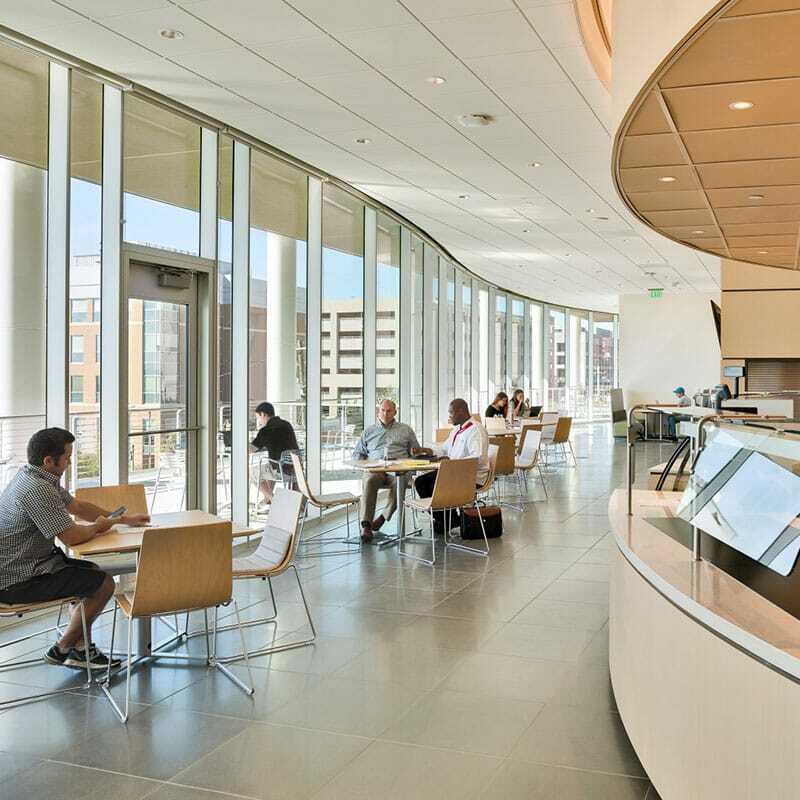 The LEED Platinum, and ultimately Net Zero Energy building, houses the Darla Moore School of Business and the 500-seat auditorium, which also serves portions of the University of South ‘s School of Music. Providing comprehensive preconstruction and construction management services and well-versed in university construction projects, the team successfully delivered this state-of-the-art facility that houses more than 35 classrooms with a total of 2,554 classroom seats, 40 meeting rooms and project spaces, multiple rooms equipped with advanced distance learning and collaboration technology systems, 136 faculty offices and space for more than 100 Ph.D. students, a 250-seat lecture hall, a 500-seat auditorium, an onsite Café, electronic trading room, and areas for individual and group study. The project also included rooftop pavilions and gardens around a center courtyard. The Darla Moore School of Business was selected by the U.S. Department of Energy to partner with its national laboratories in its Net-Zero-Energy Commercial Building Partnership Program.